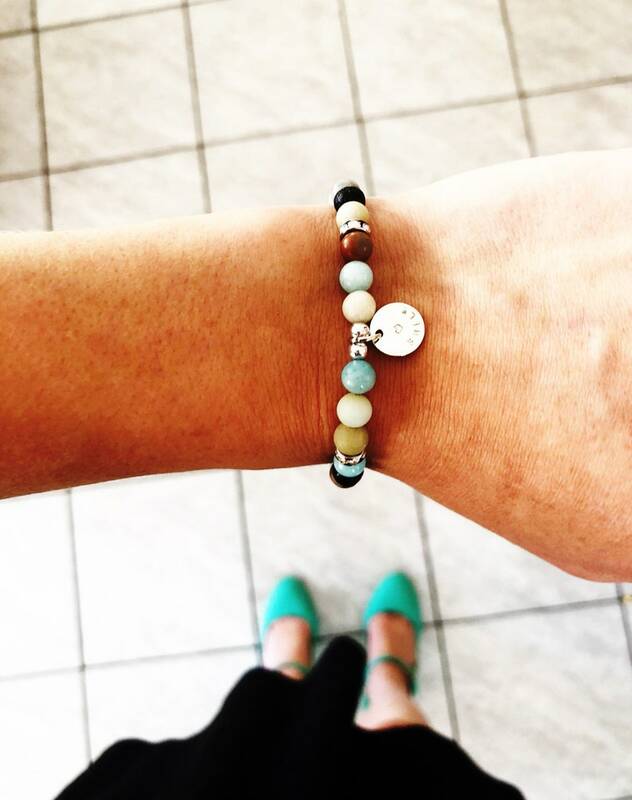 A minimalist, simple bracelet with an inspirational message to uplift you and motivate you. Lava stones ( black stones) there are 4 on each bracelet. They are an excellent essential oil diffuser. Simply place a drop of oil on the lava stone beads and enjoy the aromatherapy for hours. Each piece has a 10mm circle charm with a hand stamped message. Each piece is hand stamped my me. Circle is available in silver plated or gold plated. Positive thinking has truly changed my life and impacts me daily. This piece makes a great gift, or a nice daily reminder to yourself. Each piece has dainty faceted beads and rhinestone beads along the pattern. Finish: this is the gemstones. Each name has SP or GP next to it. SP is silver plated charm, GP is gold plated charm. Each saying comes with a quote card.